Eliminating Pests: How To Do It? Have you ever taking a DIY approach to control the pests? Or probably those annoying cockroaches? Needless to mention, it is not really an easy task to do, and this is something you should know before you decide to take a DIY approach for the task. If you learn about those harmful chemicals, rat traps or probably those poisons you are exposed during the process, you’ll be badly surprised. In other words, it is extremely harmful and dangerous. 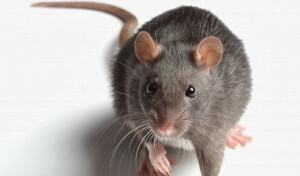 Pest control is something that all people need in both the residential and commercial space. You should always look for pest control professionals if you find pests in your home. Pests can do extensive damage if you don’t control them at the right time. It’s unquestionably a daunting task, most of the times you will end up creating a huge mess and so it is important to hire the best professionals for rats control services in WA. A DIY Approach: Is It The Right Option? So why do most of the people take a DIY approach when they have the option to hire qualified professionals? The reason is because it seems like an easy task and it doesn’t make sense to spend money on someone for eliminating pests. Why not save your valuable money? It might seem easy but totally impossible if you think of it seriously. Considering all these aspects, it is a complete waste of time, money and your valuable resources. Most of the times, the DIY approach results in a disaster. Such a complete waste of time and valuable resources could have ended into better results if you hire experienced professionals for the task. You try to save money on pest control and then end up spending more. What is more annoying is that you will always fail. If you would have hired a skilled and qualified professional in the first place, then everything could have been simply avoided Keep all these great tips in mind to choose the best professional for pest control services.